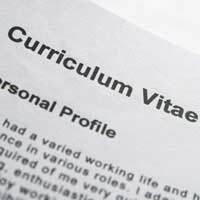 Home > Ask Our Experts > What Information Needs to be on a CV? There's a lot about ID fraud in the news at the moment and I'm looking for a new job and I'm worried I might become a victim. I'd like to know how many pieces of personal information from my CV someone would need to commit ID fraud? I've heard it's four, so email, address, DOB and telephone number - is this correct? Generally speaking the more personal information an identity thief has about you the greater the risk that your identity can be stolen. Your CV can contain all the information you list, but this doesn’t mean you have to expose your CV to the world. You have to weigh the advantages you will gain by uploading your CV to job hunting websites or sending your CV to companies you want to work for, against the risks you are running that someone may use your personal information to access your bank account or apply for a credit card in your name. The number of pieces of personal information that an identity thief would need to pose as you depends largely on the kind of theft they are trying to perpetrate. Opening a bank account or credit card is now not as easy as it once was especially if you try and do this in person. Often photo ID is now required such as a driving license or valid passport. Often forgotten is benefit fraud that is on the increase. In this kind of identity theft the fraudster would also need your National Insurance number. This information is usually not included on a CV. If someone requests this additional information from you, check their credentials before sending your number. Again, the more personal information you expose to the world the easier it is to steal your identity. The CV has become an established first contact method when looking for a new job. Try and send your CV to a person that you know within the company you are contacting. This is usually the Human Resources department. Double-check the credentials of the person you perhaps got an email from requesting your CV. Do they actually work for that company? Phishing emails can be very convincing, and when you see one offering a job, they can be hard to resist responding to especially if you are unemployed at the time. The general advice is to be careful where you send your CV. It does contain a great deal of your personal information. The good news is that you are not powerless in the face of rising identity theft. Think of your CV and your personal information as a prized possession. Don’t be cavalier with this information, but protect it as much as you can. Only reveal as much of your personal information as you need to and always keep an eye on your credit cards and bank accounts for any irregular activity.